RUM / RON 1995 is presented with a bouquet charming, with floral and fruity notes to frame a more complex presence of spices and noble woods. It is Rum Solera Vintage products handcrafted in small batches, according to the best tradition of the House Oliver. You start from a particular selection of the distillate. One of the unique features of the Distillery Oliver is that it uses 5 different types of distillers, in this way you can get at least 5 alcohol base different. 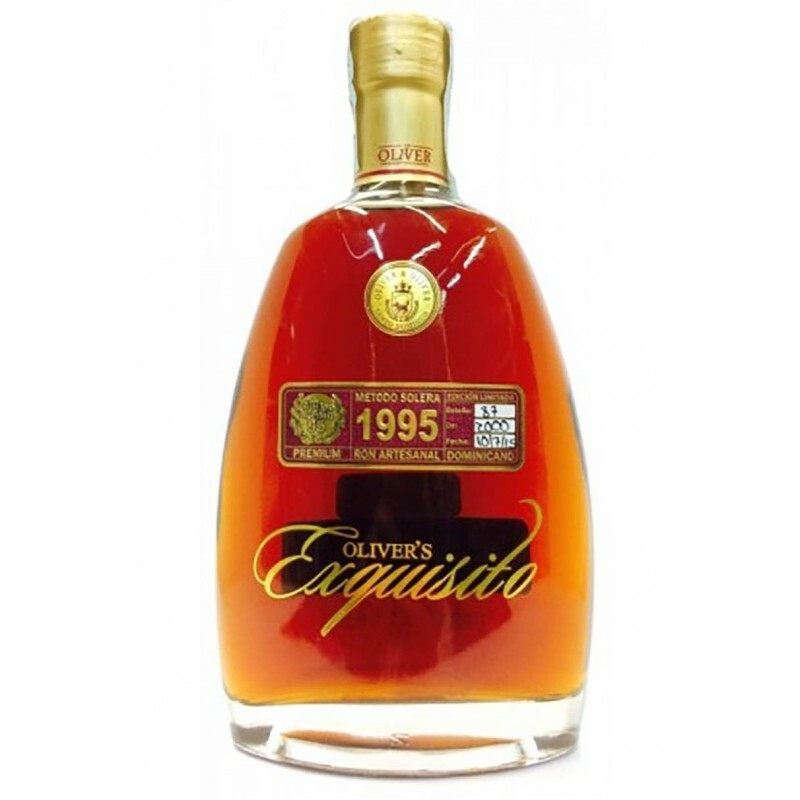 The uniqueness of this rum is that in the solera there are alcohol obtained by different distillation processes, in this way, the family, Oliver managed to take the best of each type of alcohol, and to join them together in a product as complex and amazing. The ageing took place in american oak barrels and French. The concept of the Solera Vintage is a very original concept, and the fruit of the brilliant intuition of the Family, Oliver: the Solera is filled and left there to rest for years, decades, up to the present day to give life to the largest of the Rum of Casa Oliver. They are to be taken only in very small batches, so as to allow the Rum youngest added, starting a long and slow path of aging. All this to create the magic of a Rum, grand, solemn, and of a rare elegance and complexity. It has everything a great Rum should possess: harmony, balance, and depth. Powerful and sweet at the same time, full bodied and tasty, enveloping and persistent. Let these Rum in the glass, and go back every now and then to savour it. You will be impressed by the continued evolution of the aromas, typical of the great spirits by the long ageing. If you were to indicate the ideal way to consume these rum, you should say: without haste, with a Cuban cigar or a good dark chocolate, maybe in the garden or in front of a fire in the fireplace. Could not have as the name “EXQUISITO”.